Delicious Vegan, gluten-free options with no added sodium, sugar or oils that heat-to-eat in just four minutes! The great news is that plant-based, or responsible fast food does exist! Created by a chef whose lifelong obsession with food can only be described as a 30+year culinary odyssey working with restaurants from New York to Beverly Hills and finally to Durham, North Carolina, Maggie’s Conscious Vegan Cuisine gluten-free meals provide healthy, nutritious, budget-friendly options for families and people on the go who want to eat well. Maggie’s Conscious Vegan Cuisine products are internationally inspired gluten-free meals that provide quick, easy-to-serve, nutrious plant-based dining solutions that everyone will love. The only products of their kind available in the marketplace today, Maggie’s stews are almost 100% Non-GMO with no added sodium, oils or sugar. Maggie ‘s relies on the flavors of fresh, locally sourced vegetables, fresh herbs, citrus juice and heady spice blends to deliver flavorful meals–assembling each dish as if it were a work of art. We use fresh herbs for better flavor and consider the vitamin, mineral and protein content of each meal as each recipe is composed. To keep up with the growing demand, we’ve signed a co-packer and distributors with nationwide delivery networks. Our plan: to continue to grow in increments that will allow us to maintain the integrity and quality of the products. 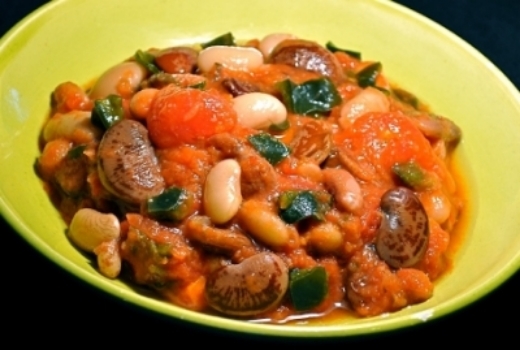 Tuscan White Bean, Tomato and Kale: Very large sweet white “Corona” beans are combined with tomatoes, kale, lots of fresh rosemary and basil. Lentils with Thai Green Curry: We use the black beluga lentils because they keep their firm, nutty texture. They’re cooked with coconut milk, Thai green curry, lime, sweet onions and diced carrots. It’s absolute comfort food that just happens to pack 23g of protein per serving! 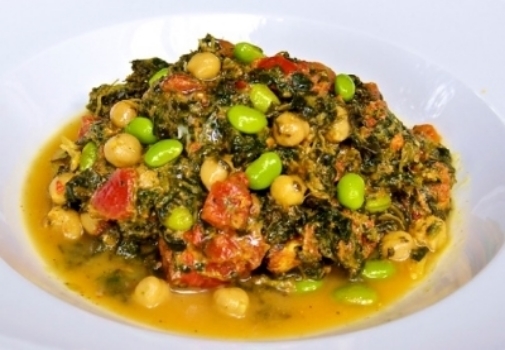 Green Life: Our Israeli-inspired meal is intense–however we balance the punch of our own Berbere spices with sulfite-free golden raisins adding kale, Red Chief lentils, garbanzo beans and tomatoes for an out of the ordinary meal. Heirloom Bean and Vegetable Chili: We slow cook heirloom beans, including Scarlett Runners, Christmas Limas and Rattlesnake to create a rich vegetable stock, and spice it with our own blend of chilies and root vegetables to create this Southwest meal. Very Good For You Korma: Decadent comfort food! Large pieces of broccoli, cauliflower, rainbow carrots and edamame meld beautifully with chunks of tomato, split yellow lentils and coconut milk seasoned with own curry blend. 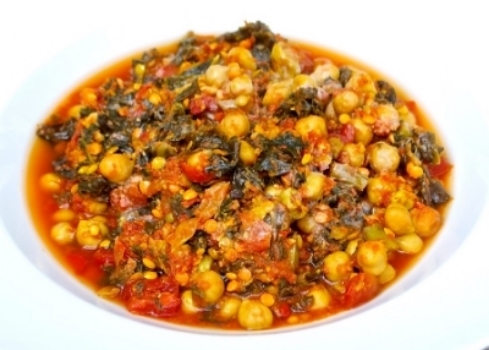 Super Saag: Chock full of protein, our saag contains spinach, chunks of tomato, garbanzo beans and edamame seasoned with our own curry blend. A truly super meal! Retail Packaging: Maggie’s Conscious Vegan Cuisine meals are responsibly packed in32-ounce, BPA-Free microwavable jars containing four servings. Retail price per jar: a budget-friendly $11.99-$12.99 per jar or $3 to $3.25 per serving.Order in packs of 6–mixed cases are not available. ing addition to any hot food bar–just heat and serve. Food service orders are packed in 7pound easy-to-thaw bags, packed 2 per case–mixed cases are not available. Cost price per 14 pound case: $49.44 or an economical $3.50 per pound. Safe Handling Instructions: Maggie’s Conscious Vegan Cuisine products are best stored in the freezer, where they are good for a full year. For Retail: Simply pull out what’s needed for your refrigerated shelves and place a best by date of 5 weeks out on the jar! Maggie’s Conscious Vegan Cuisine vegan, gluten-free products are carefully developed and tested in the company’s headquarters in Durham, North Carolina. A growing presence in specialty food stores up and down the East Coast, Maggie’s Conscious Vegan Cuisine products are a relative newcomer to the natural foods industry. It’s been less than three years since our line debuted at the Expo East by Natural Foods Merchandise/New Hope 360 where it was recognized as one of the top five products (out of 1500), and rated 5 Bites or in other words, simply amazing! Since then, the distribution of Maggie’s plant-based, fast food products has expanded to include specialty food retailers including Whole Foods, Southern Season and Wegmans Markets in twelve states.